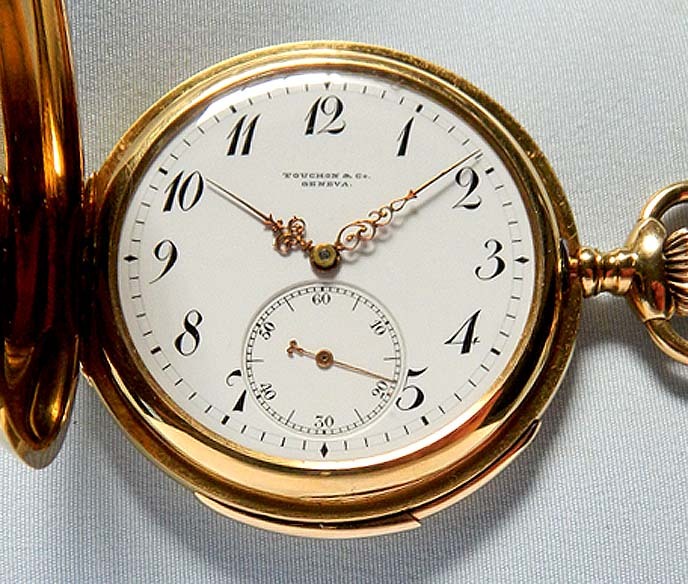 Fine Swiss Audemars Piguet - Touchon 18K gold minute repeater antique pocket watch circa 1902. 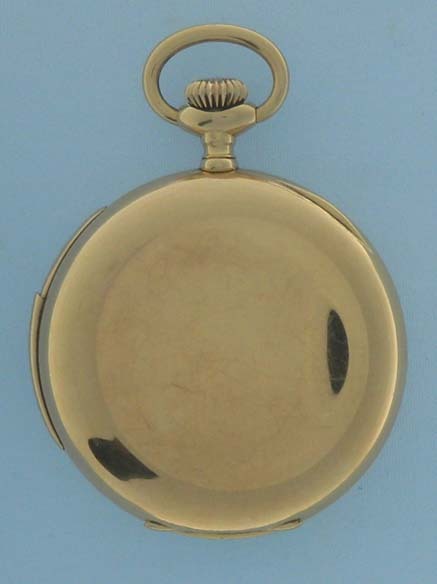 Plain polish slim hunting case (insignificant light scratches) with repeat slide in the band. 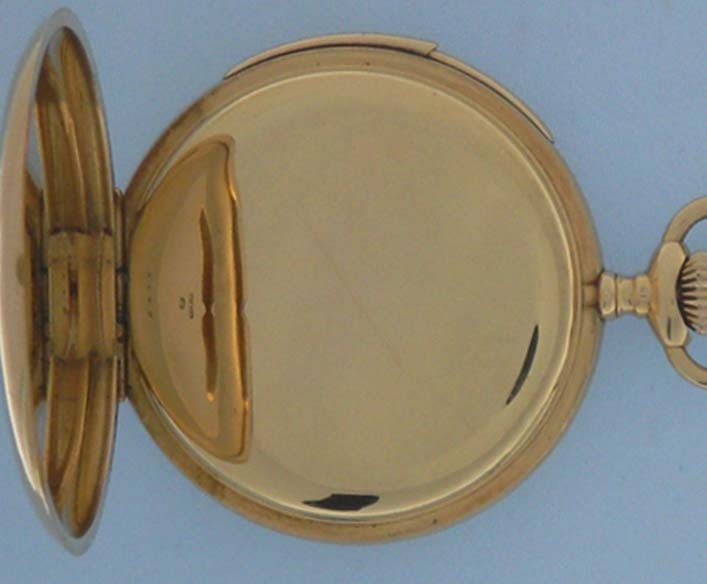 Fine enamel dial with black markings and fancy gold hands. and fancy gold hands. 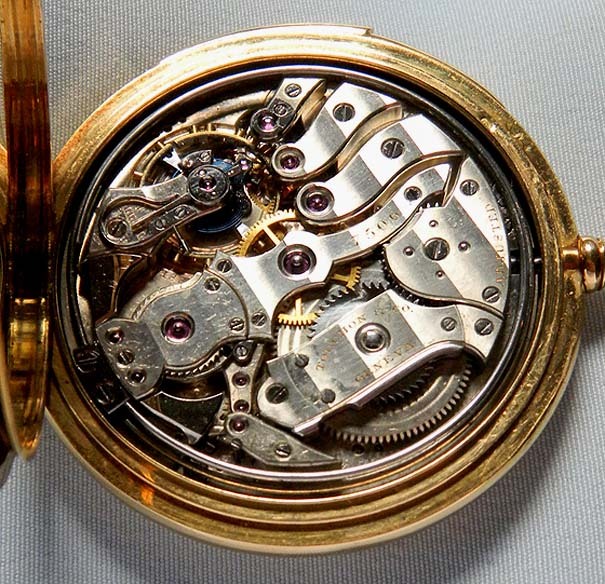 Fine nickel approximately 32 jewel movement (minor scuffing) jeweled to the center and the hammers and with wolf tooth winding, precision regulator, and distinctive Audemars Piguet 'S' shaped bridges. When activated this watch chimes the time to the nearest minute with loud clear tones.